WWE's biggest event of the summer is upon us as SummerSlam hits the Barclay's Center in Brooklyn, New York for the third successive year. But what does the sports-entertainment giant have planned? Here's our look at the card, including predictions and betting odds! There wasn't really much to this match, until WWE decided to have John Cena foil Baron Corbin's Money in the Bank cash-in attempt at the close of this week's SmackDown Live. It was almost as if creative realised that they hadn't created any issue between the pair and they'd neglected to book they're biggest star into anything meaningful and decided that Corbin's potential title reign was worth throwing under the bus for it. It's clearly not a punishment for Corbin as he's stepping in the ring with John Cena for the biggest match of his career to date. He'll need to perform at a higher level than he did against Shinsuke Nakamura at Battleground though, if he wants to continue being placed in similar matches going forward. He doesn't need to win, but a competent performance and a couple of near falls would do him the world of good. Cena is more than capable of carrying a less performer to an entertaining brawl and as long as the Brooklyn audience play along and make some positive noise, we should, at least, get a fun bout somewhere on the middle of the card. AJ Styles and Kevin Owens have had a trio of matches since May, but have yet to deliver on their potential. Mostly they've been held back by some awkward booking, but they haven't showed a whole lot of chemistry inside the ring either. So perhaps chucking Shane McMahon in as the special guest referee will provide the spark the pair need to finally make some magic. The two have the chance to steal the show if they can hit their top gear, but a lot of what they'll be able to do will come down to how McMahon is used within the match and the direction WWE has planned for the finish. Personally, I'd be happy with seeing McMahon involved in a couple of spots to build some drama for the pair, but I'd like to see him be a non-entity when it comes to the finish. A turn either way from the SmackDown Commissioner or either of the participants isn't needed, but I suppose it would create a moment that WWE seems to love. Another big name SmackDown competitor takes on someone looking to step further up the card on a regular basis, as Randy Orton battles Rusev. This is another match that has been chucked together over the last couple of weeks after both men suffered losses on the Battleground show last month. 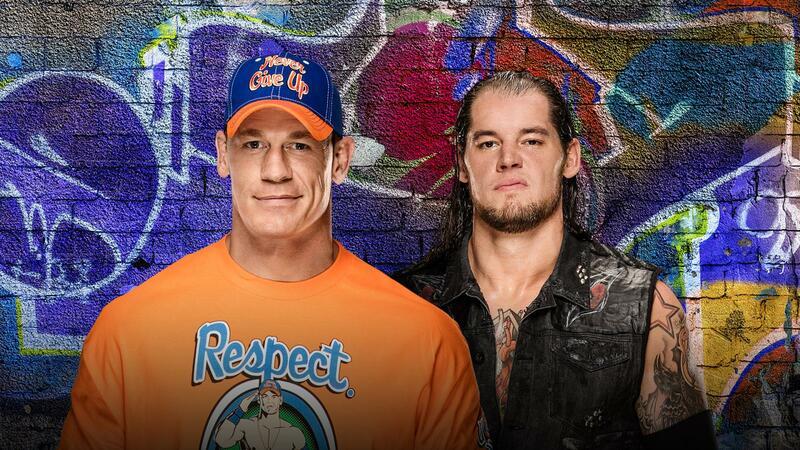 This is a rare first time match-up with the duo having never stepped into the ring one on one either on television or at a live event. There's no reason why Orton and Rusev couldn't put on a sleeper match, especially if we get a motivated Randy Orton, fresh out of the shackles of trying to make Jinder Mahal look like a competent wrestler for the last few months. Both men could do with a win here, but with Rusev without a PPV win since July last year, the Bulgarian Brute perhaps needs it that little bit more! The interplay between Dean Ambrose and Seth Rollins over the last six weeks has been consistently my favourite part of Monday Night RAW as the duo have hit a number of emotional beats and garnered strong reactions from whatever crowd they're put in front of. Stepping in with Cesaro and Sheamus, a team who have gone from strength to strength since tagging up last September and they've got the chance to put together a really satisfying story-based encounter, with the ability to back-up up with good work-rate and a variety of different in-ring styles. 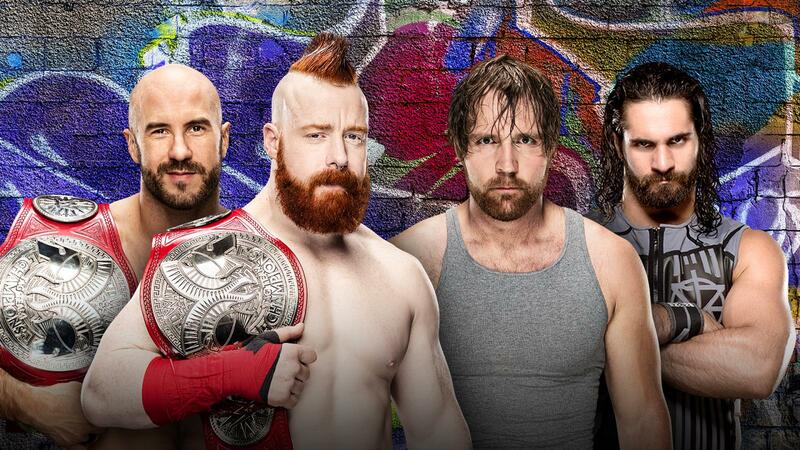 I think there's a more interesting story to be told if Cesaro & Sheamus retain, but I wouldn't be surprised to see Ambrose & Rollins take the win here. Four big lads doing big lads things. 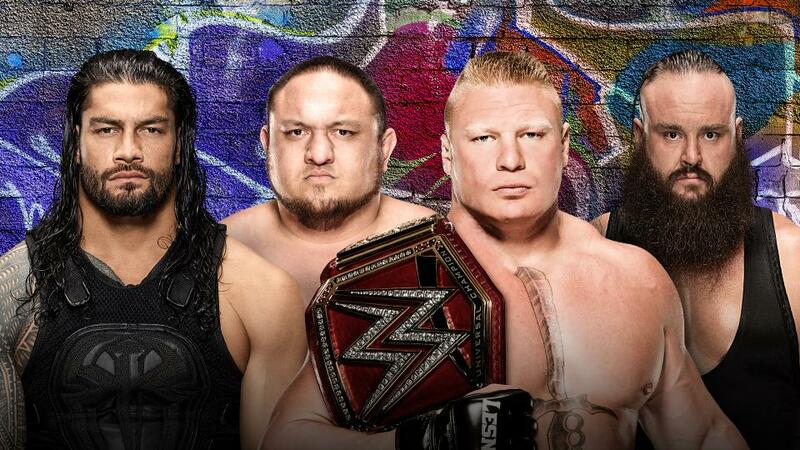 WWE has built this up nicely, making Roman Reigns, Samoa Joe and Braun Strowman look like credible threats to Brock Lesnar, whilst the Fatal Four-way environment makes it feel more likely that we could see a title change opposed to any man going one on one with the Beast. The idea that if Lesnar loses he'll leave WWE was an unnecessary addition, that actually takes away a little of the excitement that he could lose the title, unless WWE is going to shift storyline tracks completely. Part of me is expecting to see some interference here, with someone turning up to help keep Brock Lesnar with the company and perhaps set up a WrestleMania bout at the same time. Triple H returning and costing Joe a victory could produce some entertaining moments heading into next year. It's crazy that The Hardy Boyz and The Miz somehow find themselves on the Kick Off event, with Matt & Jeff having proved widely popular since their return at WrestleMania and The Miz doing some of the best work of his career. This seems to be all about getting Jason Jordan over, after the whole being Kurt Angle's son angle really didn't do him any favours. Putting him in their with a popular babyface tag team and heel act, they're stacking the deck in Jordan's favour, let's see if he can take the opportunity. WWE did this bout on RAW this week and it certainly was a match that happened, so I haven't go massive expectations, but it should still be a nice little warm-up for the main show. Bray Wyatt threw some red liquid on Finn Balor on the go-home RAW, which was a little mad, but it means we're getting Demon Balor, so hey ho. 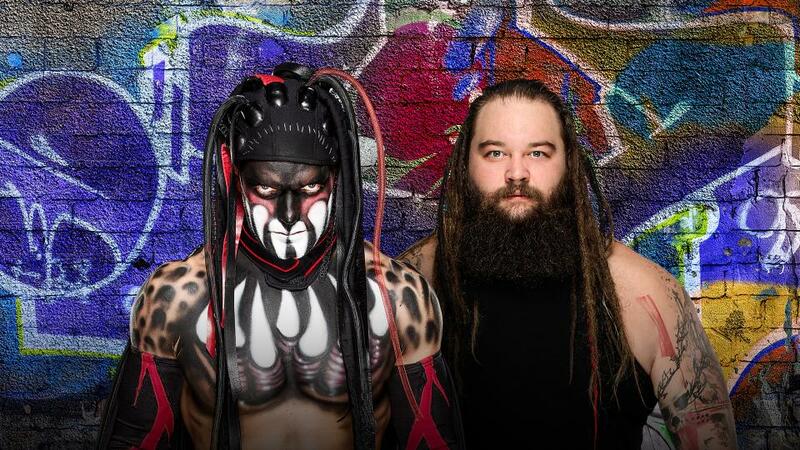 I've not been sold on this feud so far, it's been stop start between the two since the Superstar shake-up, with Wyatt stuck in a rut with his promos, talking about the same type of thing and almost developing into a drone. It's been almost two years since Wyatt pulled out a good singles bout, after outings against Daniel Bryan, John Cena, Sheamus, Dean Ambrose and Roman Reigns in 2014-15, whilst Balor is also yet to hit his top gear in one on one bouts since returning from injury in April, so both men could do with pulling out all the stops and putting on a worldie in Brooklyn. As long as WWE stears clear of the gimmicky stuff they did at WrestleMania and allows Finn and Bray to wrestle, brawl and general beat each other then these two should be able to put together an entertaining encounter. Wyatt won their bout on RAW this week and Balor also lost a No DQ match to Elias in July, so it would make sense for the Demon to come out victorious, which would provide us with a nice full-circle type story after his injury at last year's event. Who knows what this is going to be like!? We've seen Jinder Mahal in three old-school type bouts with Randy Orton, that I enjoyed but wouldn't be particularly excited about re-watching, whilst at last month's Battleground Shinsuke Nakamura had one of the worst matches of his career against Baron Corbin, as well as unimpressive bout with Dolph Ziggler at Backlash. Mahal seems to work best when he has an issue with his opponent, but there's no real build here, beyond Nakamura being #1 contender to Mahal's WWE Championship. I'm desperate for Mahal to drop the title, because the experiment simply isn't working creatively and I'm sure Mahal could draw in an Indian audience without the belt if used correctly. On the other hand however, I'm not ready for Nakamura to take SmackDown's top prize. I feel like I'm still waiting for the King of Strong Style to click on the main roster and whilst he's popular and showed glimpses of his talent against John Cena last month, it just doesn't feel like the right time to put the belt on man from Mineyama. After a countout finish at Great Balls of Fire, Sasha Banks gets another shot at Alexa Bliss' RAW Women's Championship, after week's of overly complicated booking. Bayley's initial involvement was poorly handled and seemed to come out of left field and WWE seems to be dropping the ball on how it's presenting Nia Jax as well. With Banks only becoming #1 contender on RAW, we're left with another match that lacks build or depth, but has the potential to produce some decent action. Banks will need to show she is able to bring another talent up to her level, as there's no doubt that Bliss' in-ring work is the weakest part of her game. The booking of the Women in WWE has been baffling for months, so literally anything could happen here. Two big boys and one little bloke in a shark cage above the ring. What else would you want? WWE made that shark cage playset and boy have they gotten their use out if, as this will be the third time in nine months that WWE has had someone suspended above the ring during a match. There's a decent little beef here, that's been built up nicely since the last PPV, but at almost every turn Cass has come off looking like he could take Show with ease. I'm not expecting a classic, but there's an opportunity to make a star out of Cass on a big stage, with the right booking and some hard work from both guys. It would perhaps be cool to see Enzo Amore sneak a microphone into the shark cage, as otherwise I'm not quite sure why he wouldn't just be banned from the building. Another Women's match that baffled me when it was announced, as the money and the booking seemed to be pointing towards Charlotte Flair challenging for Naomi's SmackDown Women's Championship. The booking of Women's division has been so topsy turvy that it's been difficult to care about anyone on either brand and going in I'm pretty numb towards Natalya vs. Naomi. Natalya has shown sparks against Charlotte and AJ Lee, but has all too often failed to deliver on her reputation, whilst Naomi hasn't made the most of her six PPV singles bouts either. However, perhaps together they could find the chemistry to produce a quality PPV bout. At least, they've been given the chance to have a singles match on such a huge show, after WrestleMania just crammed all the women it could onto the card. The potential for a Carmella Money in the Bank cash-in is there, but I can't see it happening just yet, because it's been so heavily sign-posted. After Akira Tozawa won the Cruiserweight Championship on Monday night, we're left with what looks like a much more interesting bout than the initial rematch from Great Balls of Fire that we were scheduled. Whilst Tozawa and Neville can always be relied on to pull out a good solid bout, after seeing Neville's quick descent into near-madness since losing the purple strap, I'm now looking forward to seeing the effect that this has on the match. I'm still not sure what the Titus Worldwide stuff with Tozawa is supposed to be, but hey ho. Whilst the two are extremely talented, they're slot on the pre-show is probably justified given the wealth of name-value across the rest of the card, but also gives them an opportunity to shine. They'll almost definitely receive more time than if trying to squeeze onto the stacked main show, will be able to grab a larger audience through WWE's social media feeds and will have a crowd that is still pumped and ready to see some wrestling. I'd like to see the direction that Neville's character takes if he doesn't walk out the victor, but I also wouldn't be overly surprised to see him regain his throne as the King of the Cruiserweights either. Rounding off the card, we have The Usos' rematch for the SmackDown Tag Team titles they lost to The New Day at last month's Battleground. Also finding itself on the pre-show, we have a match with two teams who have shown they can produce good matches together in the past, as well as two teams who garner good reactions from the crowd with both their wrestling and character work. I'm not expecting this bout to make many waves, but it will probably be a fun watch whilst it's on-screen and with the right story and time could be a little bit more. 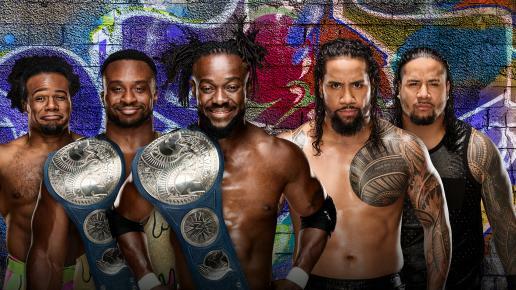 The wrinkle that Big E and Xavier Woods have to wrestle for the New Day is a little odd, as I don't remember the pairings ever being pre-announced, so that could be part of the shenanigans that sees New Day hold onto the belts. 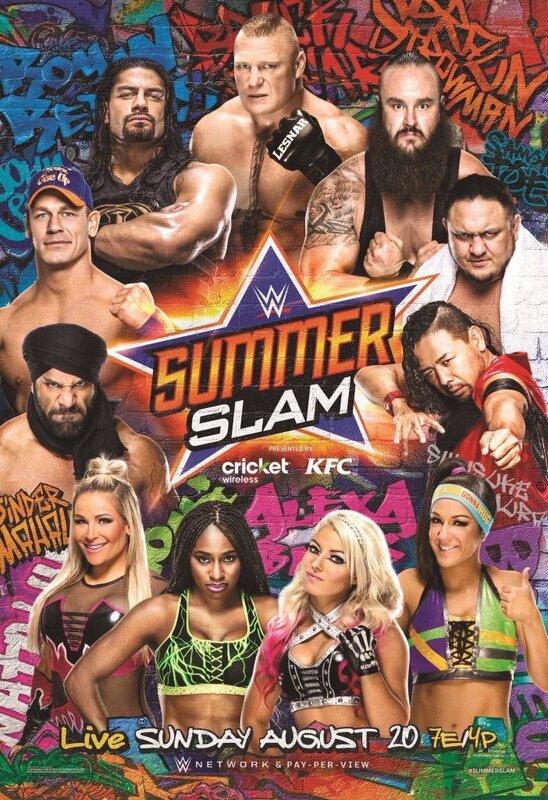 So yeah, that's your SummerSlam preview. Kick-Off show begins at 10pm BST, with the main show beginning at 12am. Enjoy the show and let us know what you think. - Odds Correct at time of posting at Paddy Power.